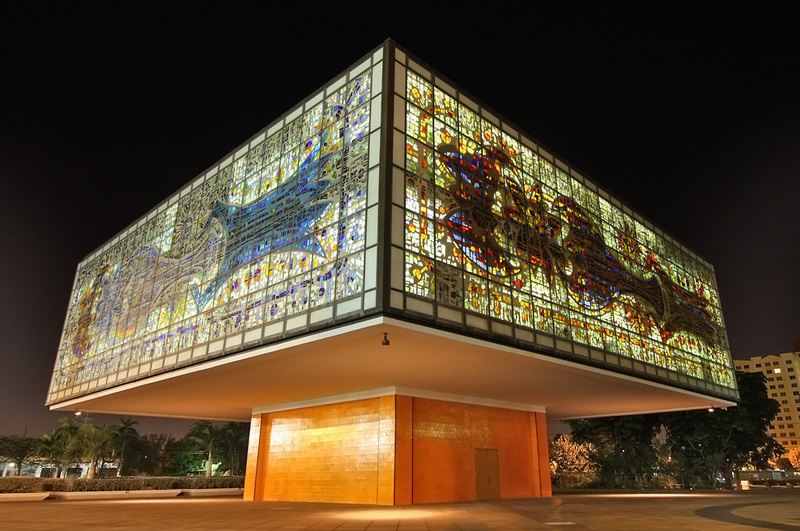 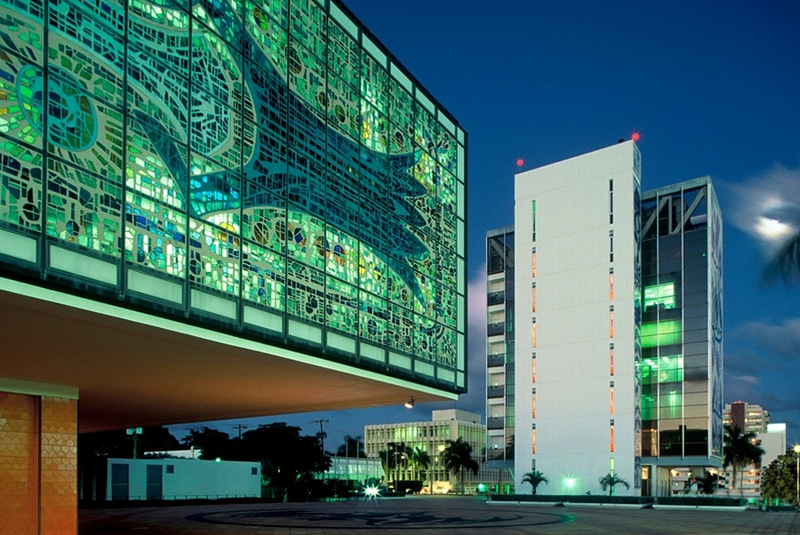 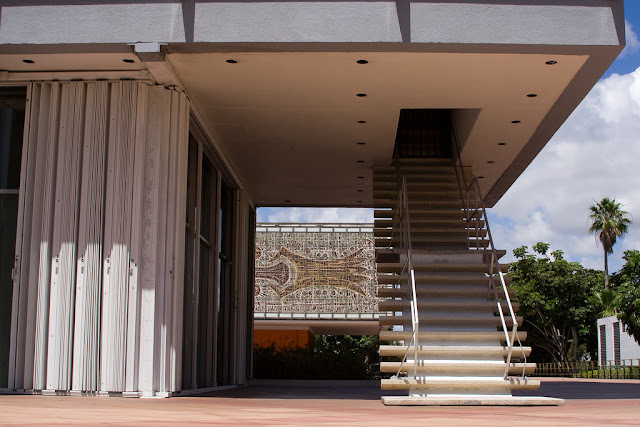 The dominant architecture style of Miami Beach is usually recognized as Art Deco, but there are a few Modernist gems such as the old Bacardi Rum headquarters. The complex located at 2100 Biscayne Blvd, consists of two structures; an 8-story tower built in 1962-63 and a 2-story cantilevered building built in 1973. 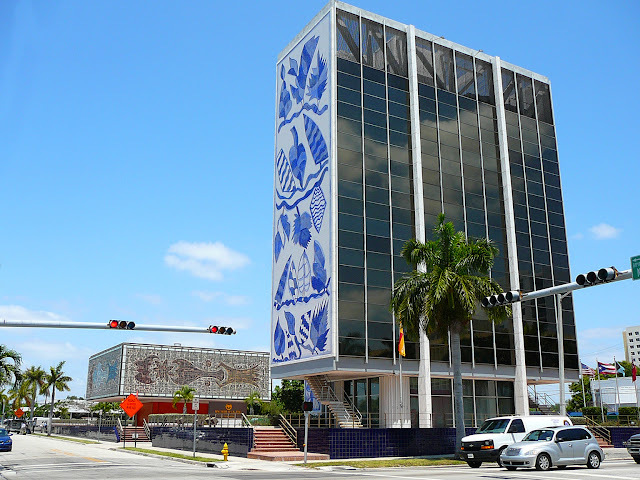 The 2-story building, coined the "Jewel Box on a Pedestal", was designed by architect Ignacio Carerra-Justiz of Coral Gables, Florida. 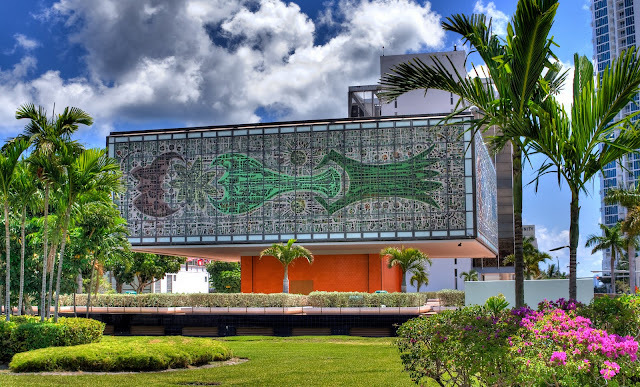 The 2nd story cantilevers out 24' from its central core on all sides and is completely wrapped with 1" thick hammered glass mosaic windows. 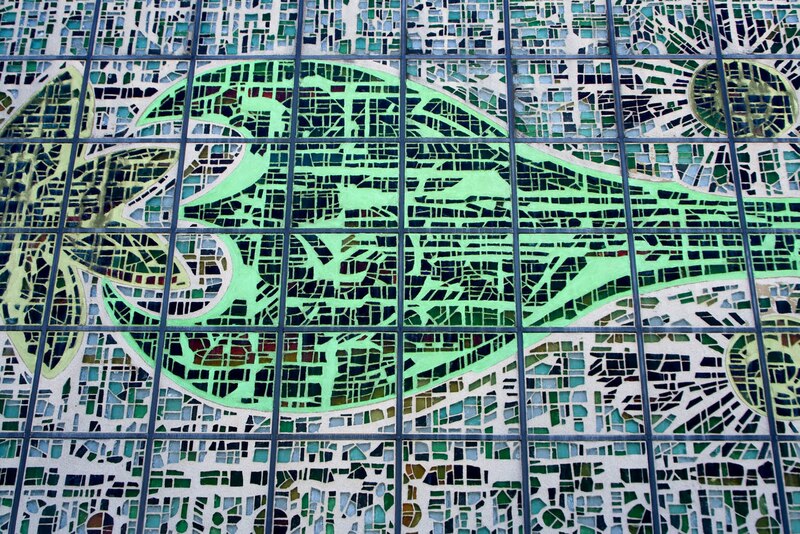 The windows, fashioned after a painting by German artist Johannes Dietz, were produced by stained glass artists Gabriel and Jacques Loire of Chartes, France. 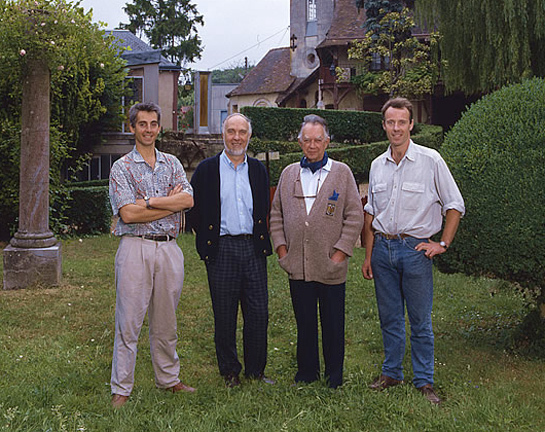 The Loire's- 3 generations of stained glass artists, c . 1989. 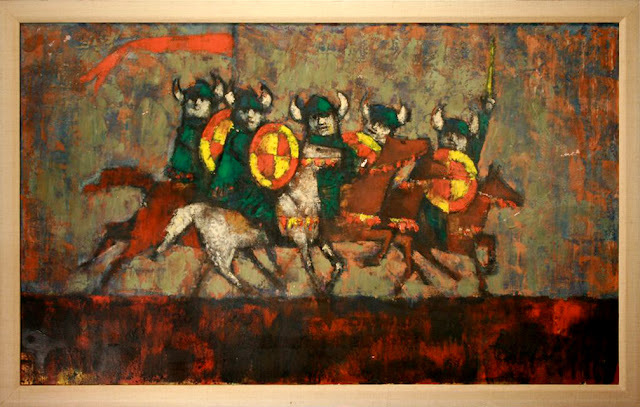 L to R: Bruno, Jacques, Gabriel, Hervé. 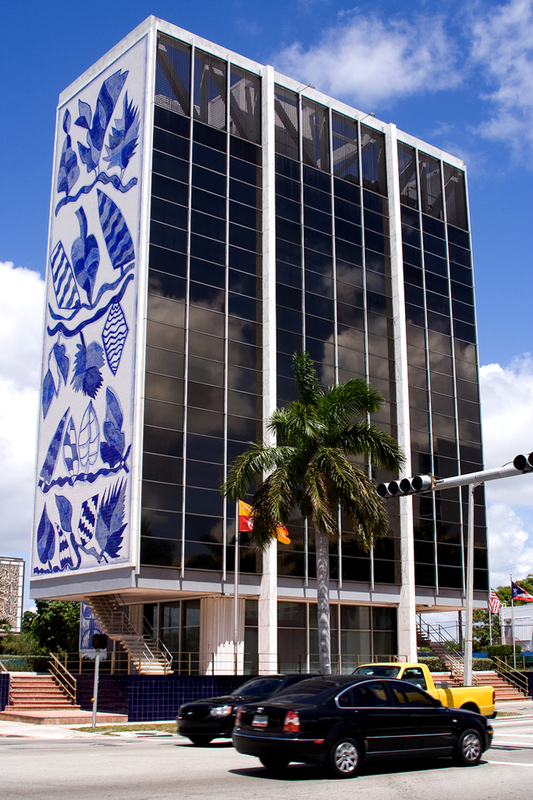 The 8-story Bacardi Tower, designed by Cuban architect Enrique H. Gutierrez, was constructed in just over a year and was formally dedicated on January 25, 1964. 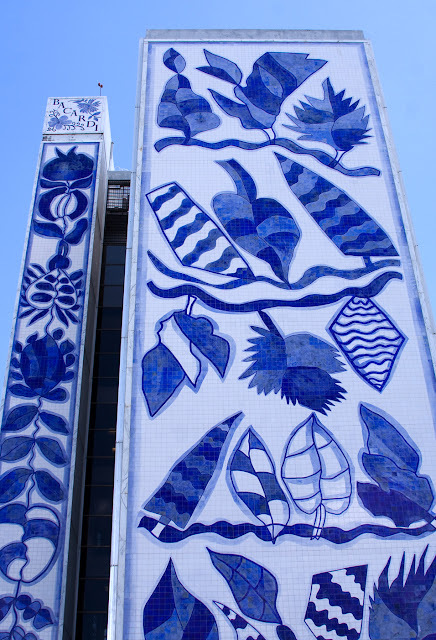 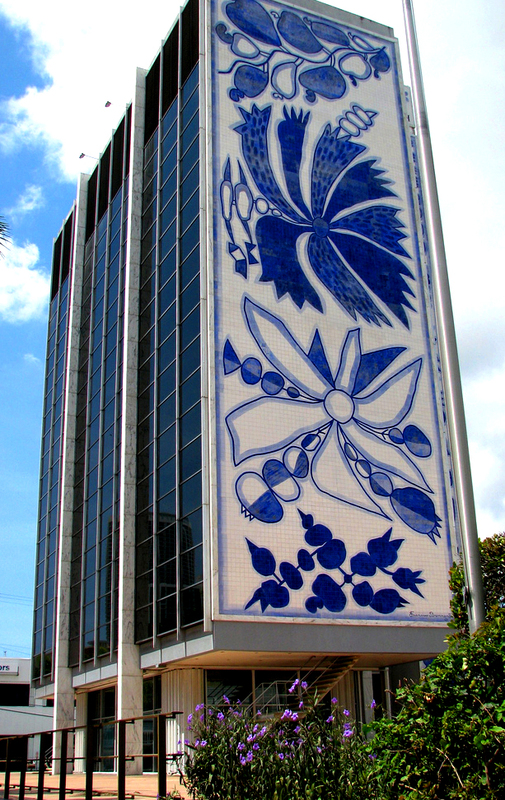 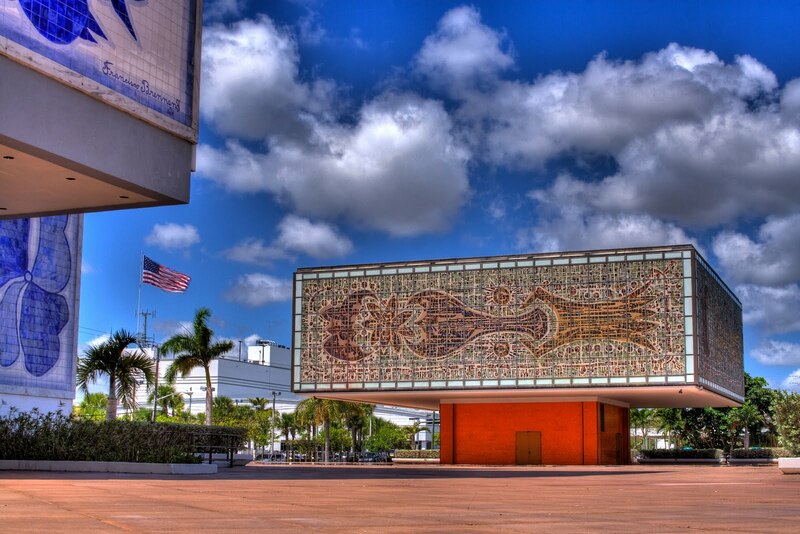 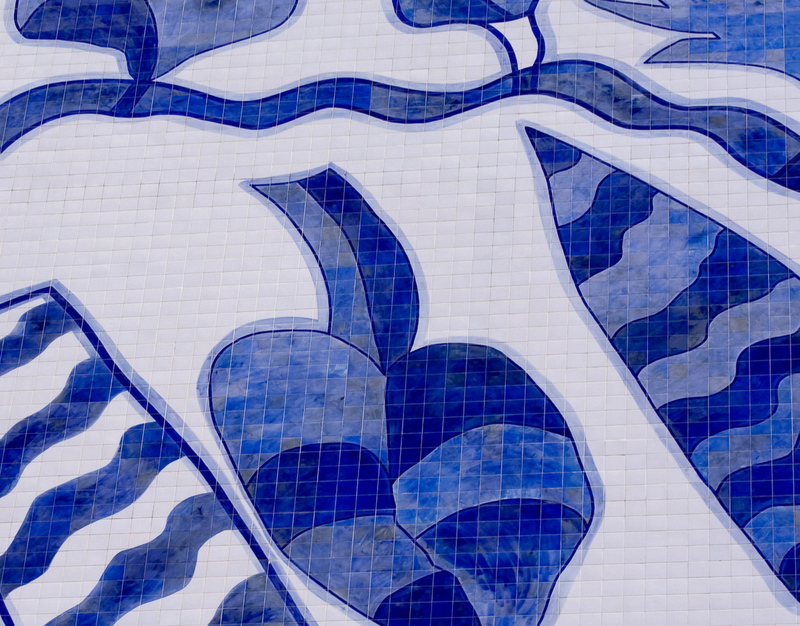 The north and south facades of the tower are adorned with "azulejo" murals designed by Brazilian artist Francisco Brennand. 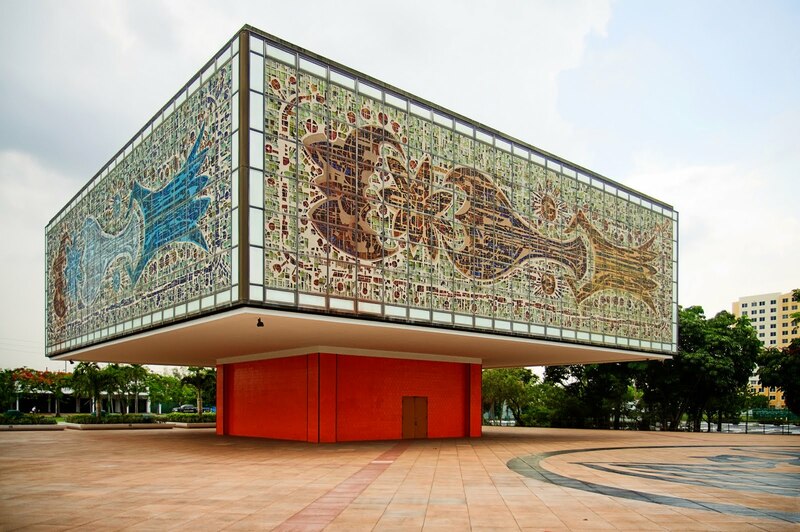 The murals consist of 28,000 6" x 6" hand painted tiles which were fired in Brazil and hand numbered for proper installation on site. It took over 6 months to complete the installation process alone. Go to- Article about the buildings in Dade Heritage Trust's Preservation Today. 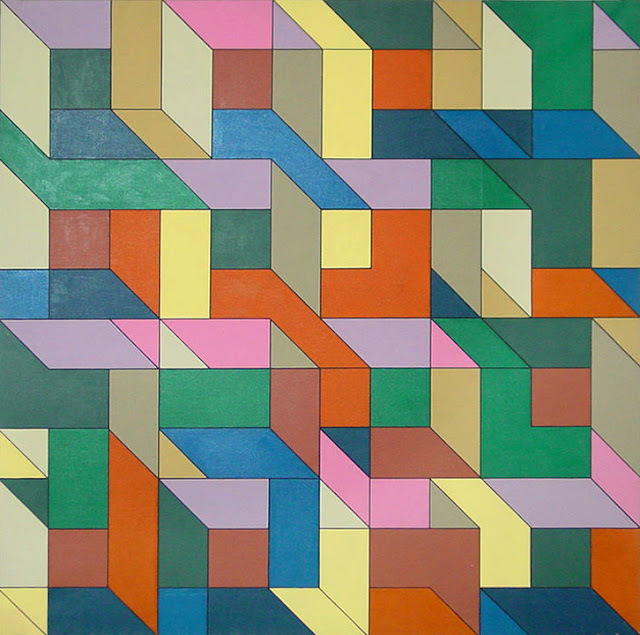 April 2011, pg 30. 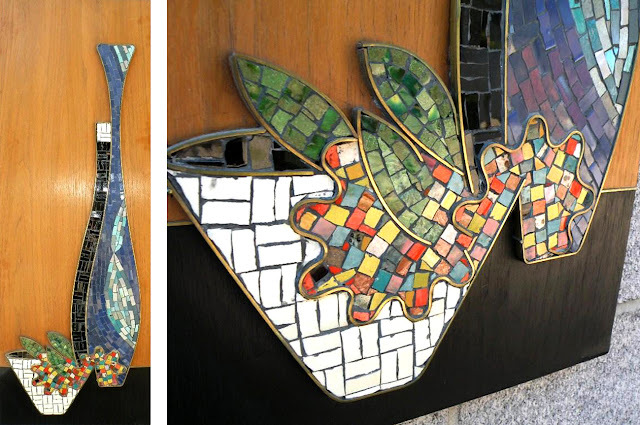 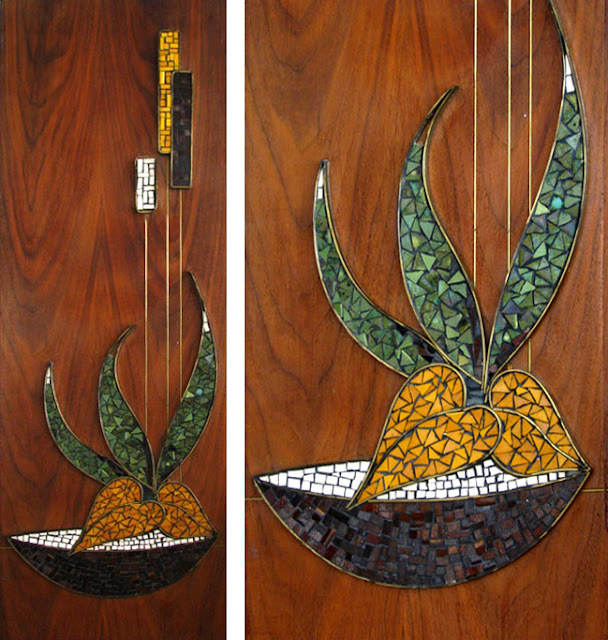 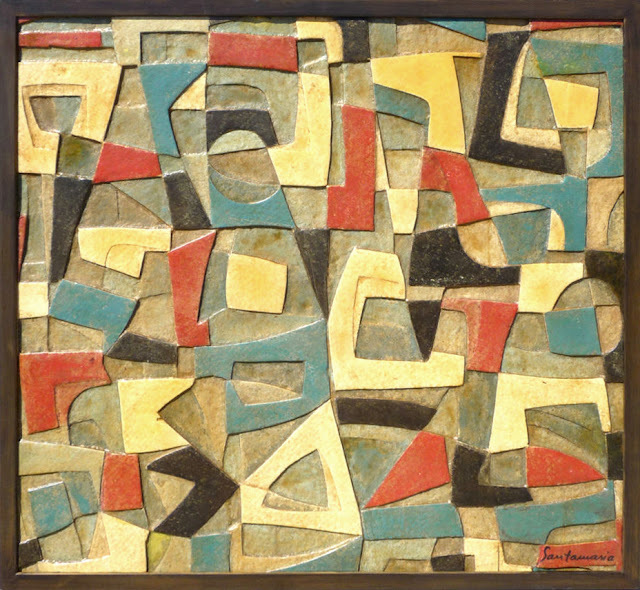 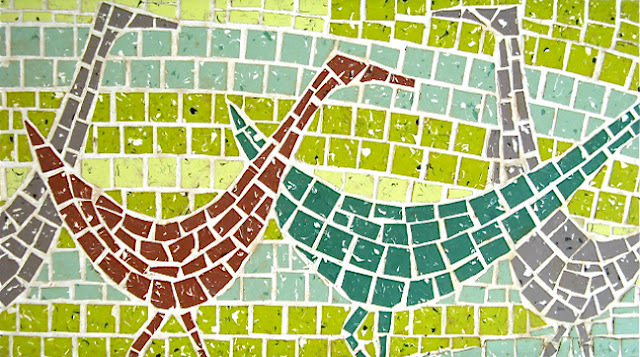 Here is a selection of mid-century mosaic wall panels that I have come across while auction-mining. Enjoy! 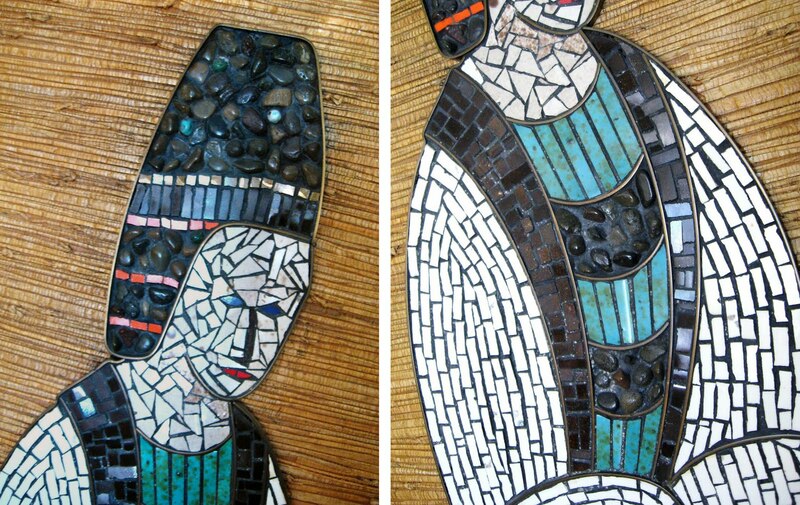 Geisha girl brass border mosaic on raffia grass ground, 52" x 19". 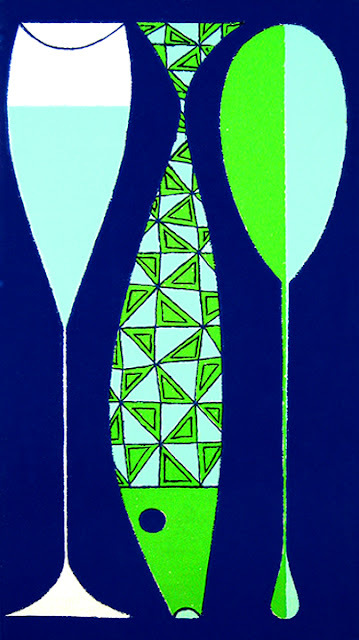 Etsy available at time of post. 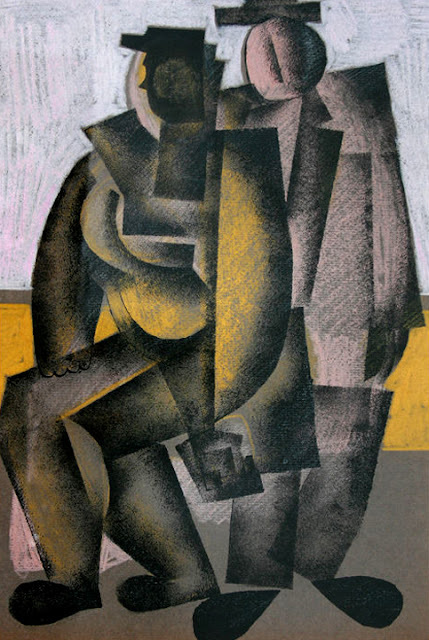 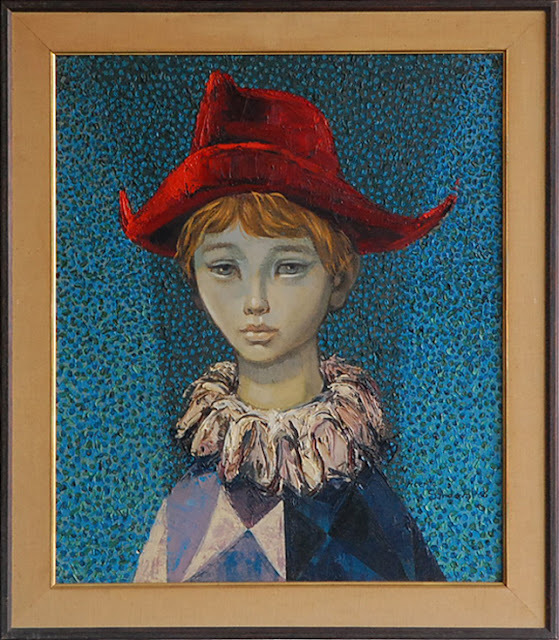 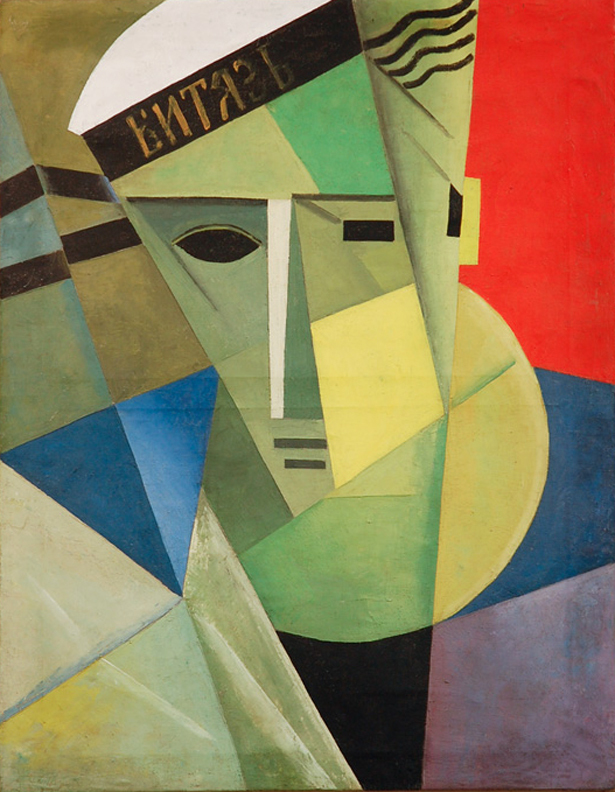 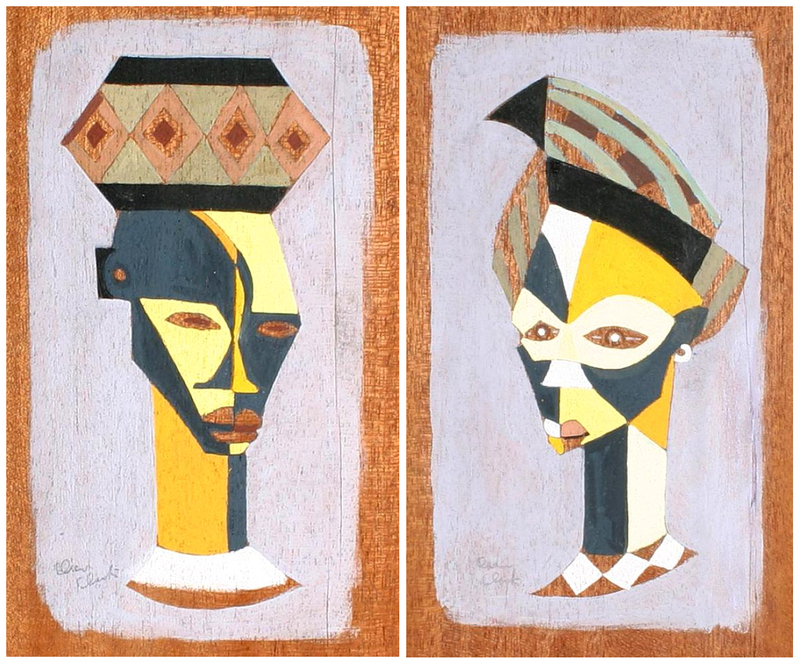 Harlequin smalti mosaic by Romanos, 31.5" x 15.75"
Faceless portrait mosaic titled Gabi, by György Hegyi, 79 x 62 cm. I get the feeling someone may have been inspired? 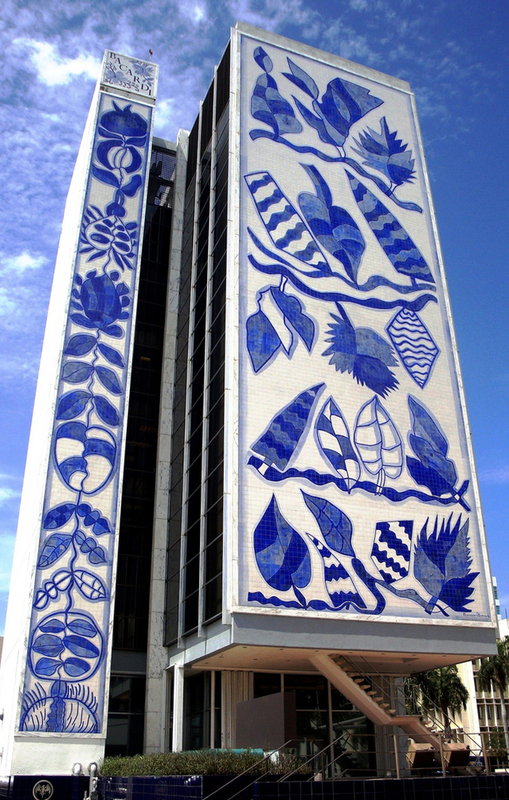 The tapestry is by Ross Littell. 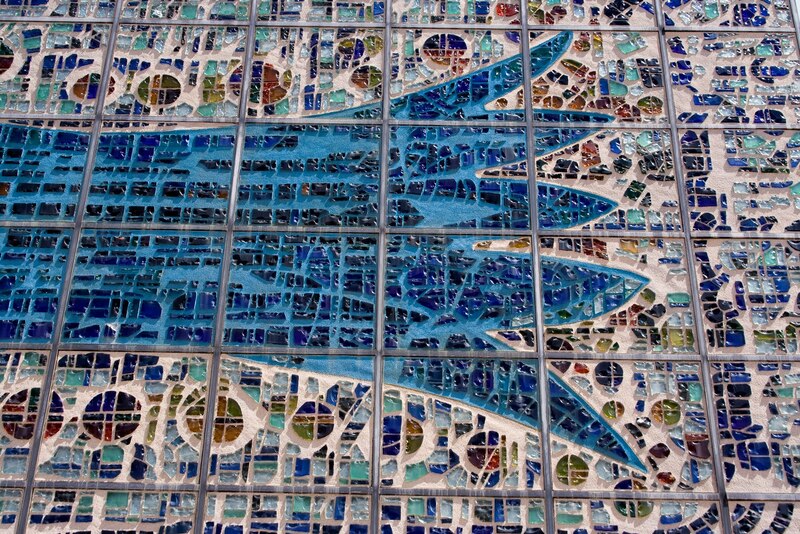 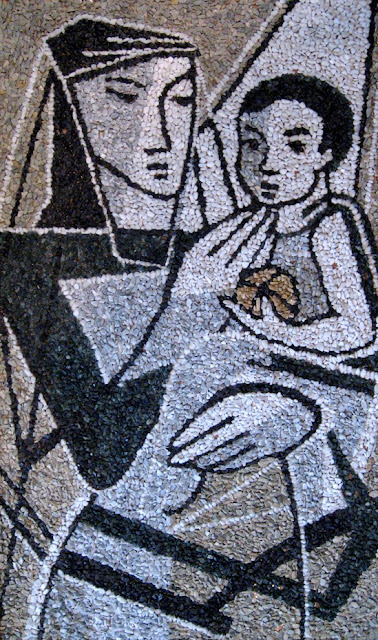 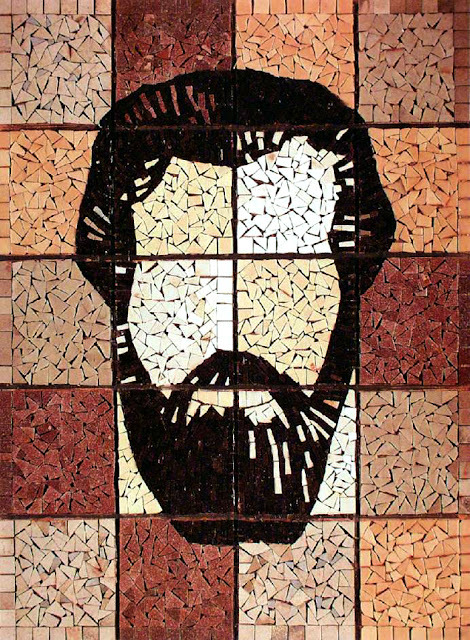 It is pretty obvious that the mosaic artist was inspired by the gravel art piece. 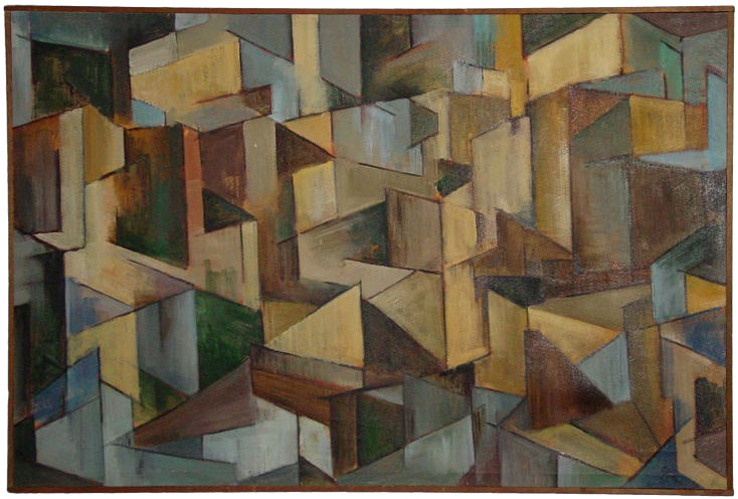 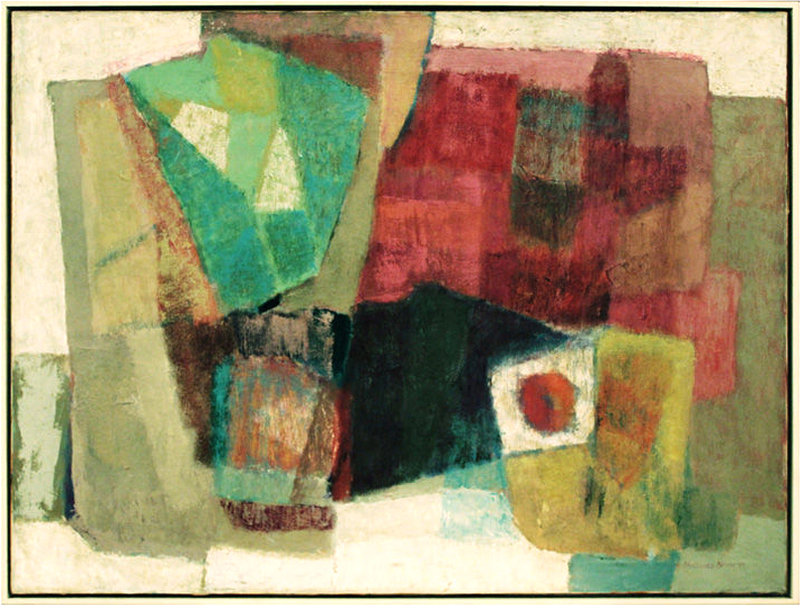 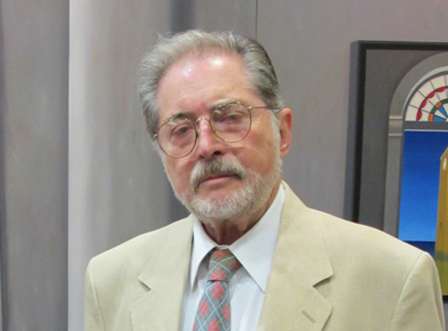 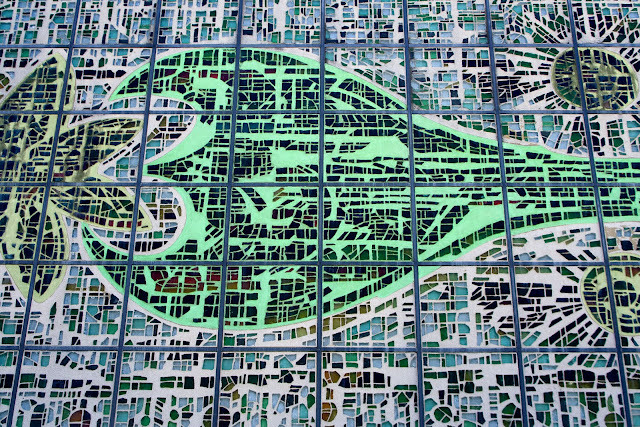 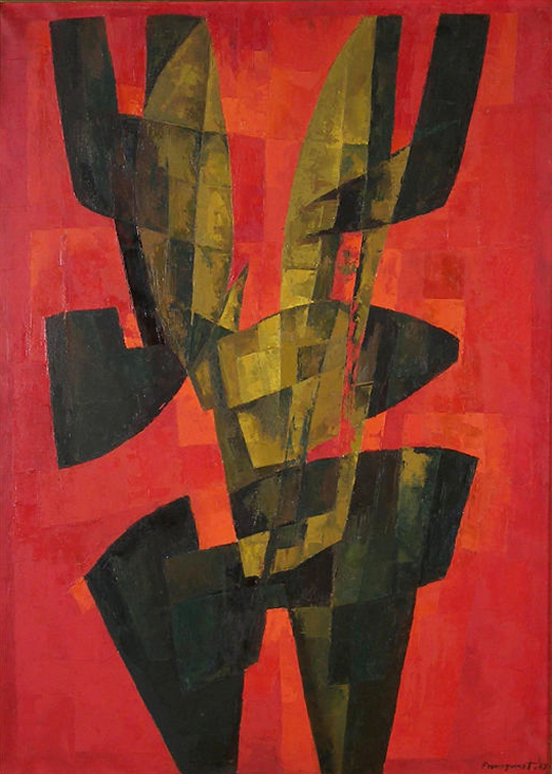 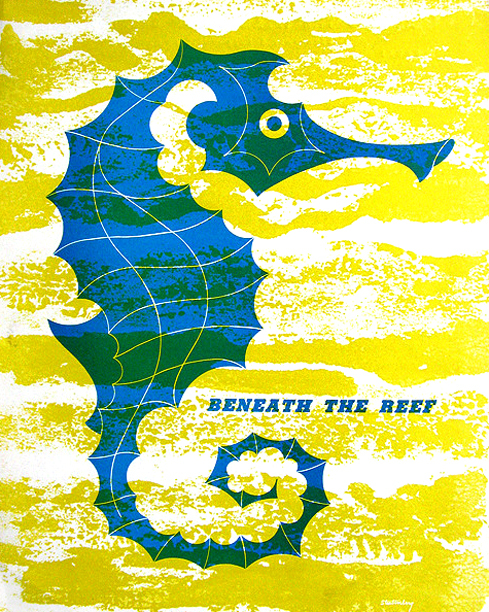 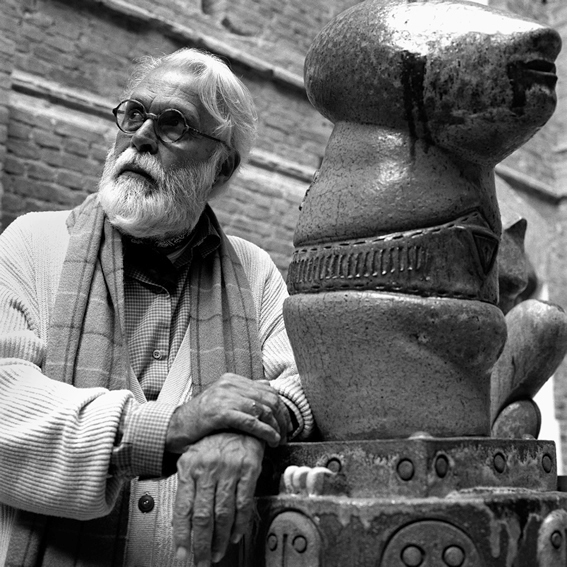 Commercial artist Stanley B. Stubenberg was born in Honolulu, Hawaii on December 8, 1925. 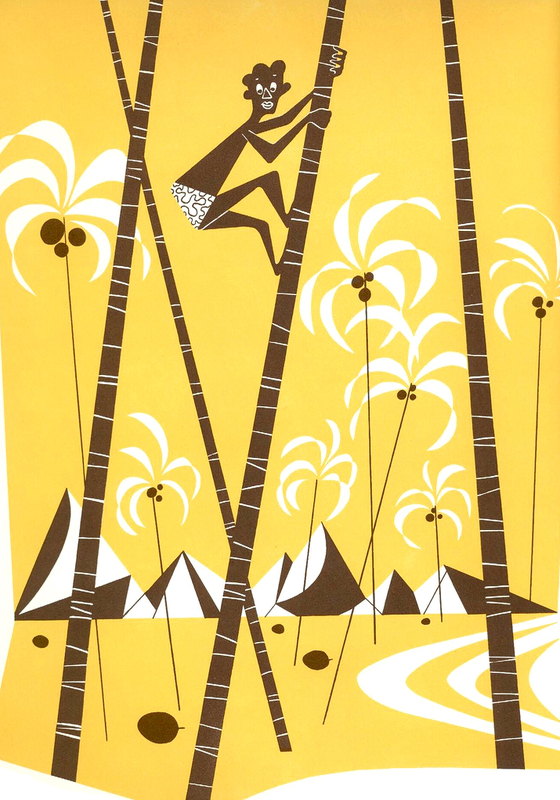 During his career he created illustrations for various hotels and restaurants in Hawaii including; Hilton Hawaiian Village, The Reef Hotel and The Tropics. 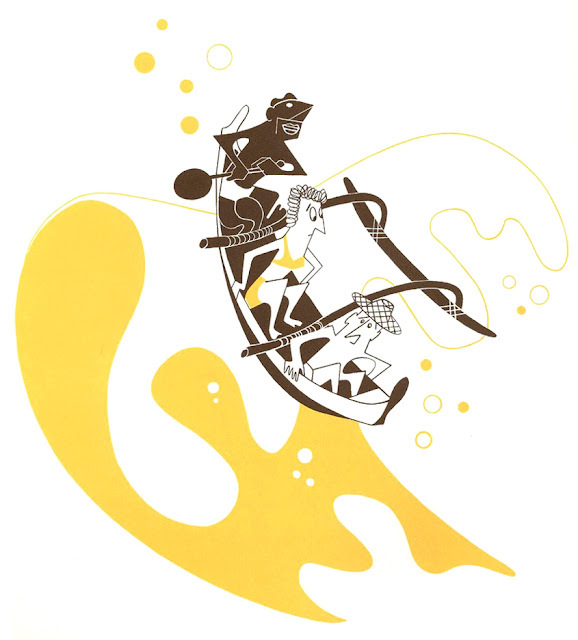 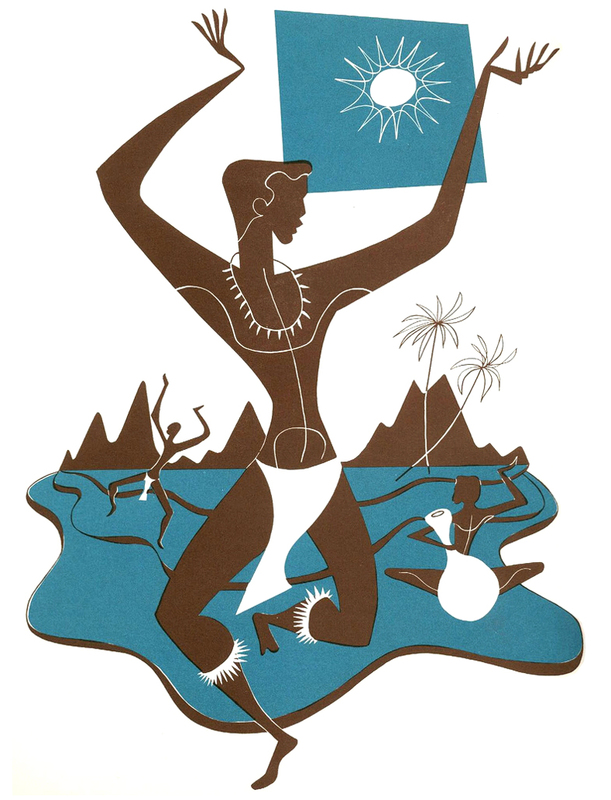 He also masterfully illustrated the 1965 book, Young Folk's Hawaiian Time. 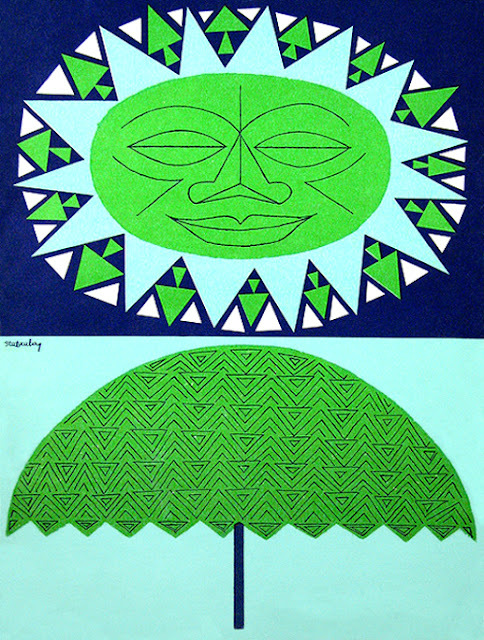 He passed-away in September 2001 in St. Croix, Virgin Islands, he was 79. 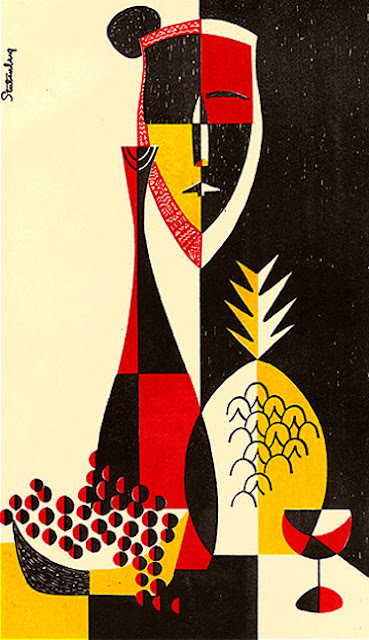 If you are interested in seeing more of his work, I hear the book Tiki Modern is a good resource; in fact, his art graces it's very cover! 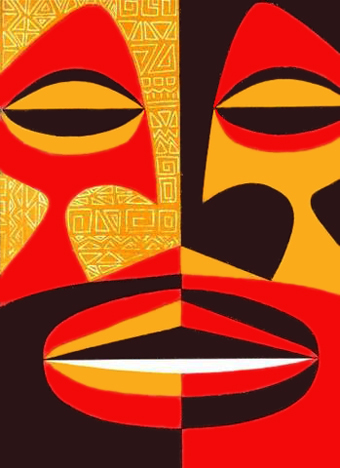 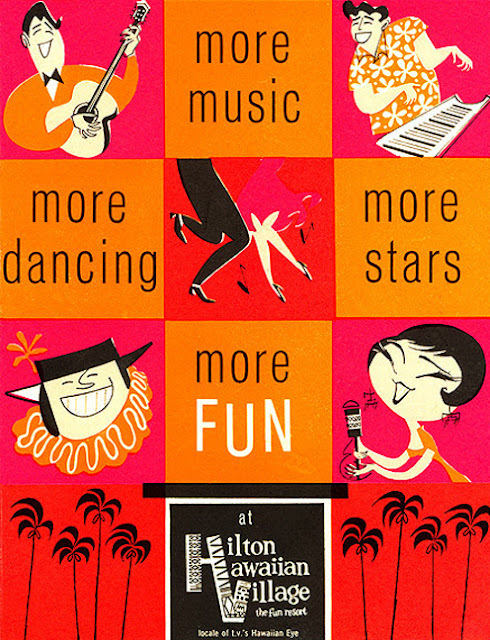 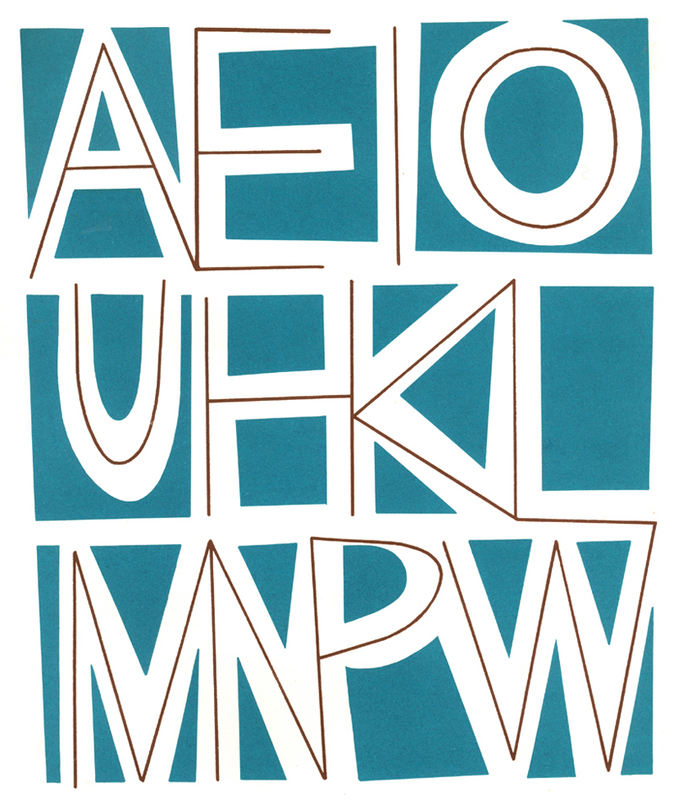 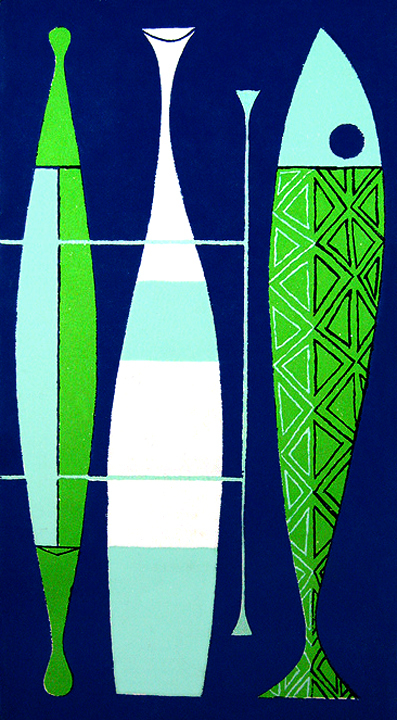 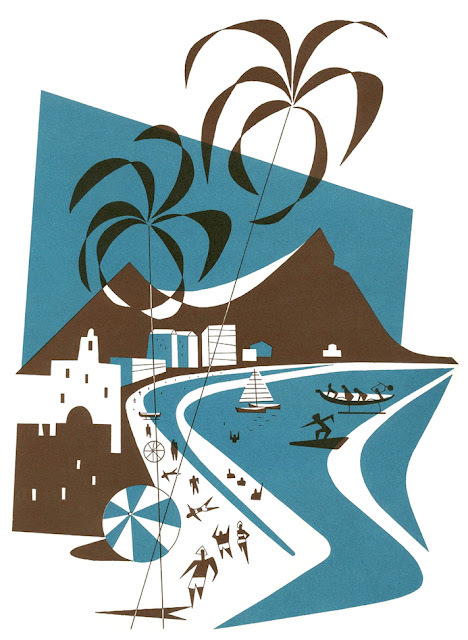 Menu cover art for Ale Ale Kai Restaurant at the Hawaiian Village Hotel, c. 1960's. 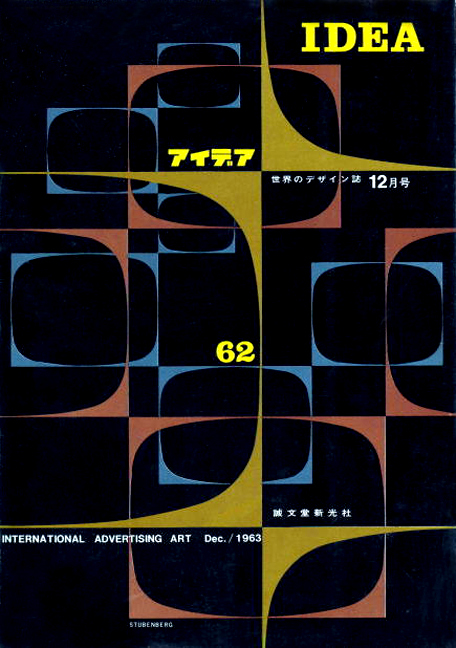 Cover for December 1963 issue of the Japanese design magazine, Idea. 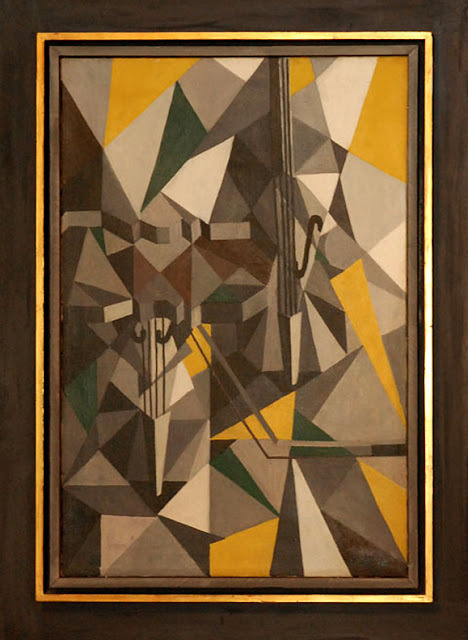 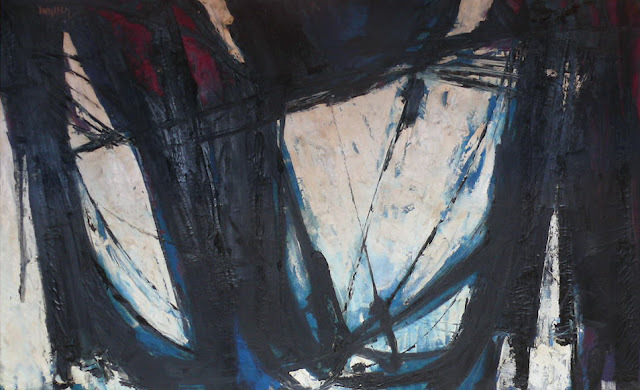 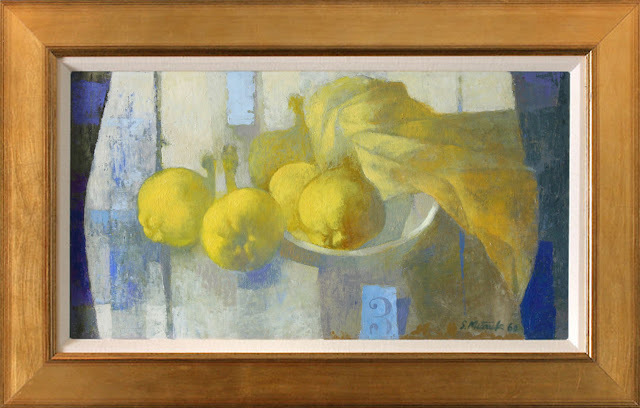 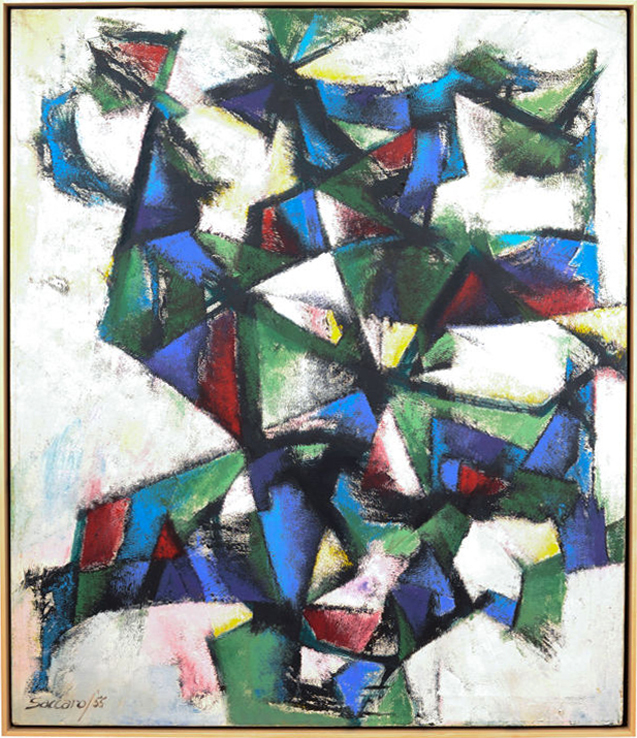 Today I thought I would post some of my favorite paintings currently available on the 1stDibs marketplace.